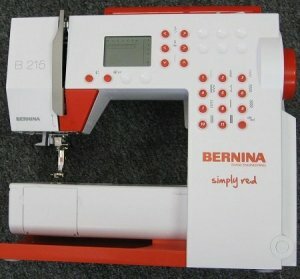 BERNINA Blast Newsletter: December Open Sew and More! Free Open Sew in December! We know you are busy getting those homemade gifts ready for friends and family, and we want to help! 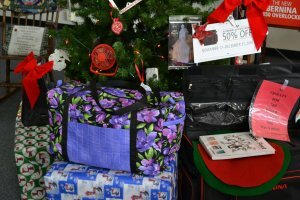 So we are having Open Sew all throughout December! Come in any time from 10am-5pm and use our workspace as your workspace. And if you do not want to lug your machine into the shop, you can call in advance and reserve one of our Demo machines. Bringing a friend is always welcome, too! 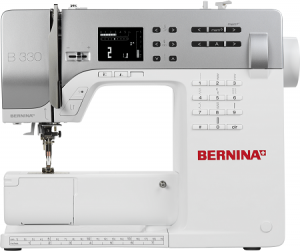 The B330 will be on sale for $699 December 8-14! Upcoming Classes Coming in 2017! 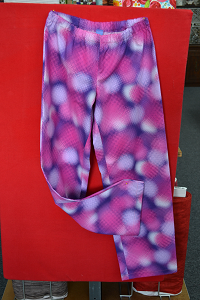 PJ Pants: A super easy and quick pattern to make some comfy pants perfect for chilling out after the holiday hustle and bustle. Elegant T: A simple one-piece patter with multiple sleeve, neckline, and length options. And we will show you how to adjust to fit your measurements! 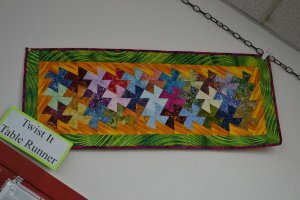 Twist-It Table Runner: Use the Twister Tool, 5 inch squares, and a little yardage to make this vibrant table runner. Perfect for charm packs or a great scrap buster! 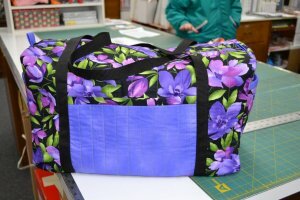 Duffle Bag: Use the patterns in the book and a favorite focal fabric to create your weekend escape bag with plenty of room to pack all of those extra PJ Pants and Elegant T's! Be sure to check our website for Class Dates and Details! And if you want to see us offer a class, let us know! We want to make sure we are fulfilling our customers' wants! Have and use Facebook? Like and follow our page to stay informed of all of the shop's happenings and sales between weekly newsletters!